Here we are on summer's doorstep. It is difficult to find time to do all the things that have to be done. Luckily Jem had time to turn out these lovely little bowls before gardening fever hit her. 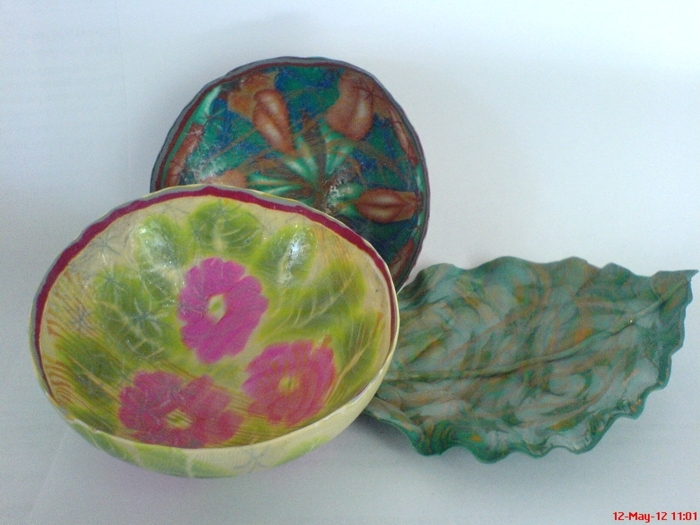 The larger bowl is approximately 4 1/2 inches across and the walls are very very thin. They feel almost as botanical as they look.